Step off the beaten path and head to Bellevue Beach and Hiidenvuori. 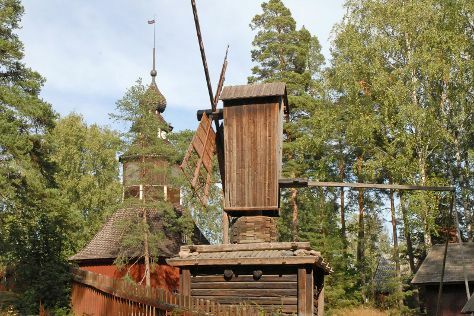 Get some cultural insight at Seurasaari Island and Open-Air Museum and Hietaniemi Cemetery. You'll find plenty of places to visit near Helsinki: Riverside Park (in Kotka), Nuuksio National Park (in Espoo) and Arboretum Mustila (in Elimaki). There's more to do: take a peaceful walk through Niivermaki Nature Conservation Area and get to know the fascinating history of Castle Hill. If you are flying in from Austria, the closest major airport is Helsinki Vantaa Airport. In May, daytime highs in Helsinki are 18°C, while nighttime lows are 7°C. Finish up your sightseeing early on the 23rd (Thu) so you can travel back home.